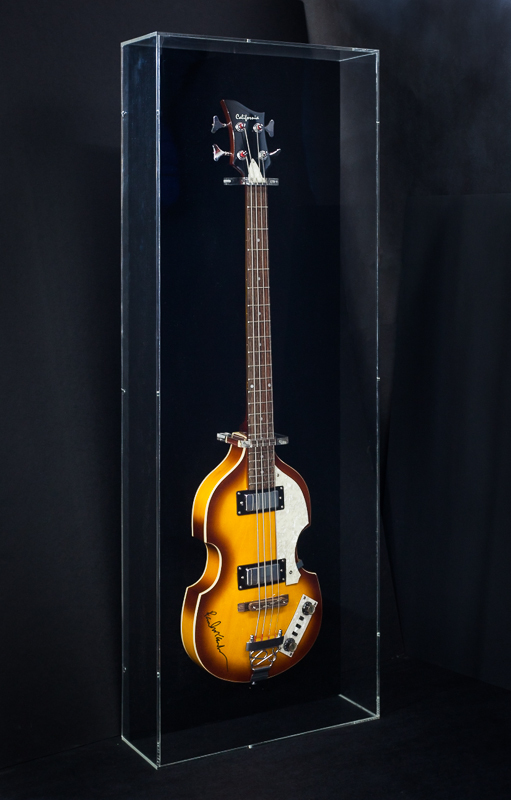 Guitar in Acrylic Plexi Box Frames McCartney-Jagger Guitars. Unlimited choices and custom framing solutions for every budget. We had the treat to frame a real relic. A client came to us with probably the most exciting gift idea for her son who is a music lover. 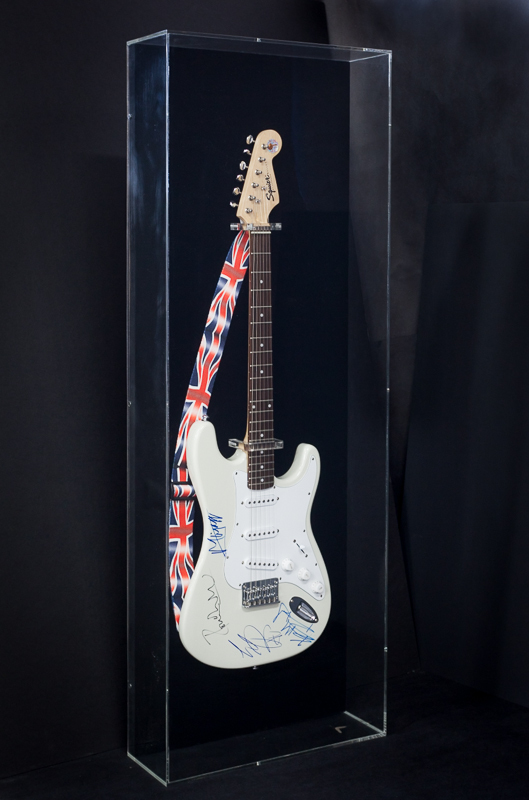 She wanted to frame his two signed guitars by Paul McCartney and Mick Jagger! The challenge: How to display these guitars while showing as much of the detail as possible. The solution: We decided to display them in acrylic Plexi boxes with a wrapped black velvet backing. This allowed us to creatively display these guitars and show as much of them as possible. With the black velvet backing, the guitars really took to the spotlight, becoming the successful focal point we were aiming for. Have a special or unique item to frame? Rely on us for creative custom solutions.